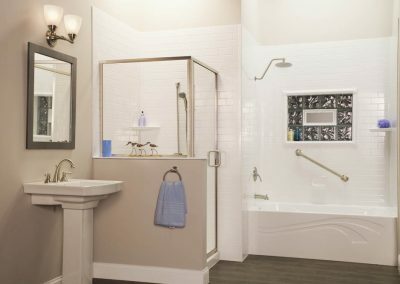 You’ve designed a beautiful new bath system. 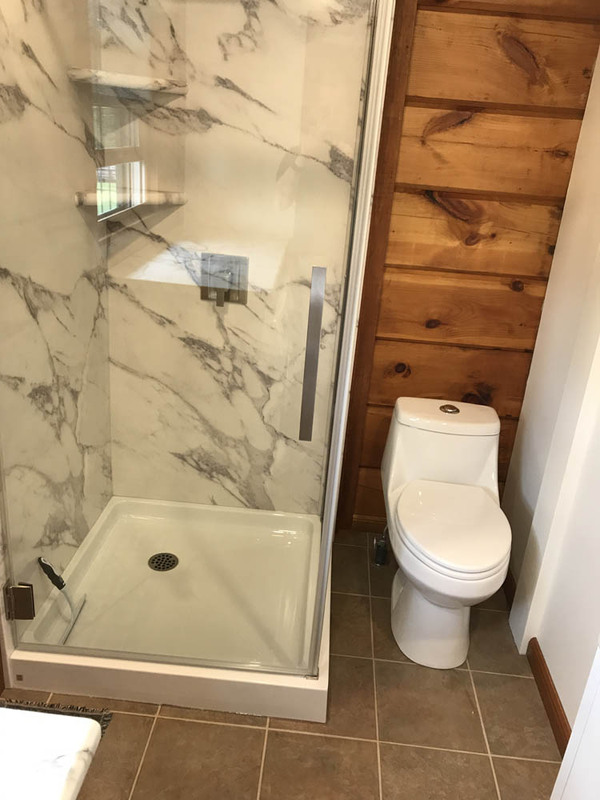 Finish it off with the right enclosure. 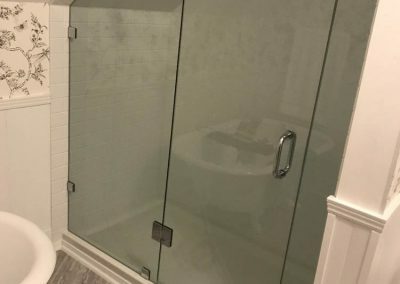 At Peterborough Bath Renovators, we have a variety of shower doors to add finishing touches to any of our shower products. 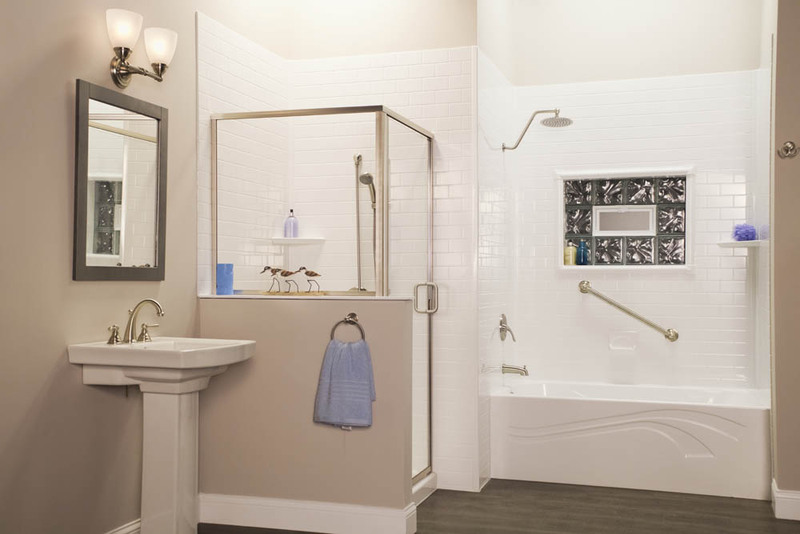 Our shower doors can add extra elegance and complete the bathroom’s transformation into a spa-like getaway. 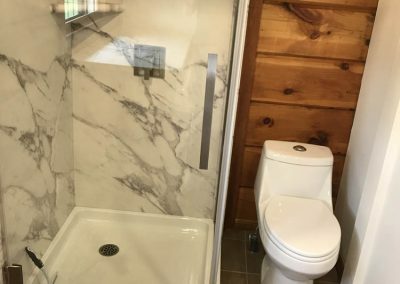 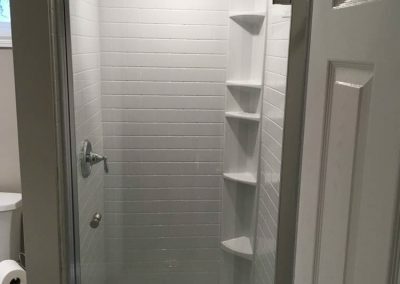 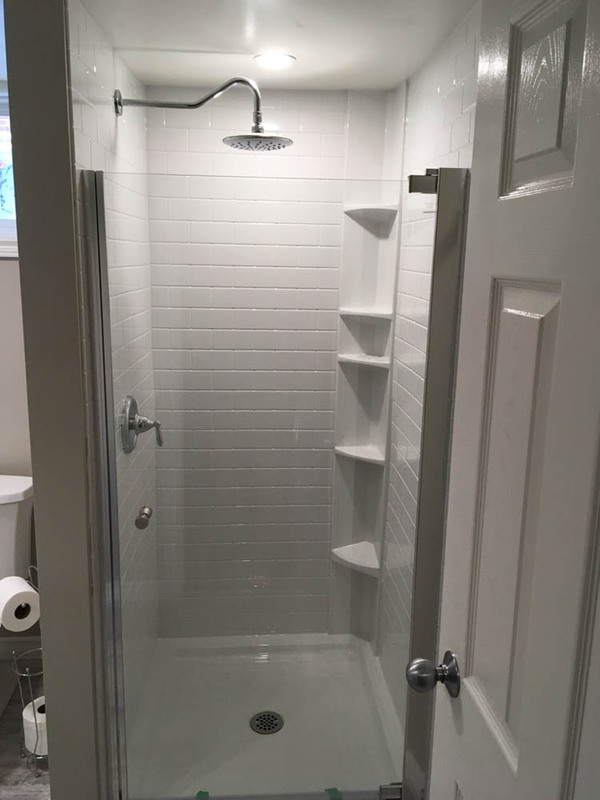 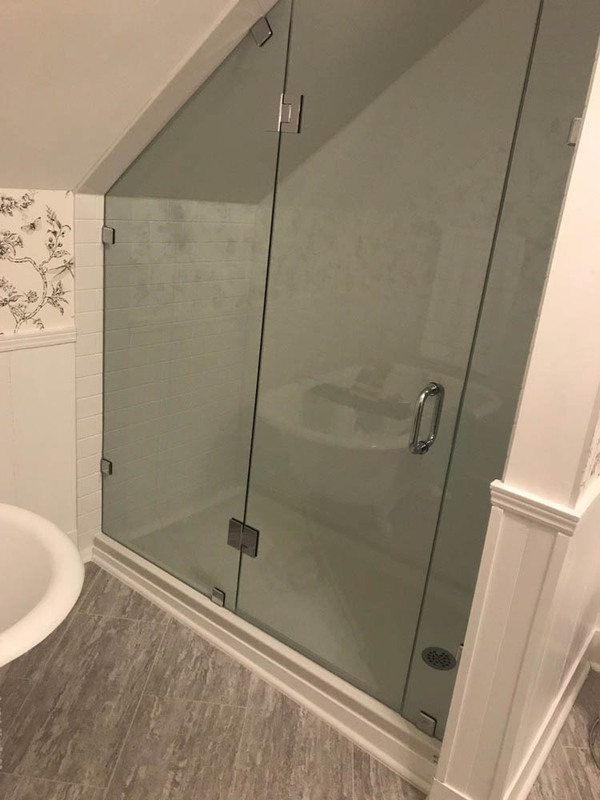 Plus, we install different glass options: clear glass to show off your lovely new bath system, or for more privacy, we offer Opaque options such as obscure, rain, or glue chip features. 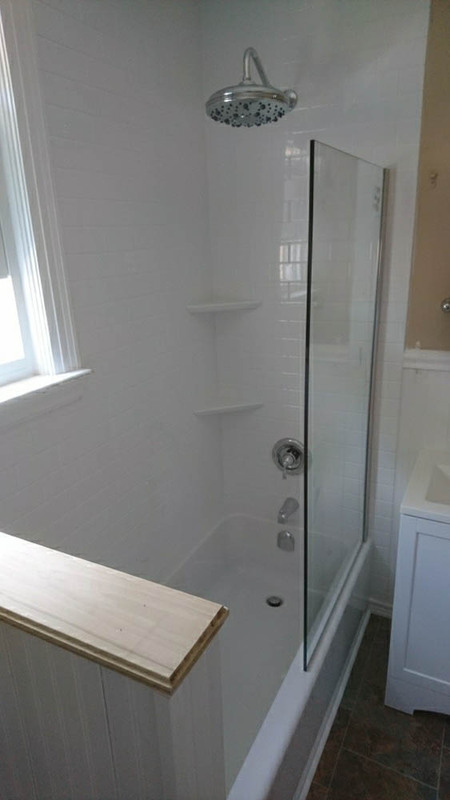 Enhance your new acrylic bath or shower with beautiful doors by Peterborough Bath Renovators. 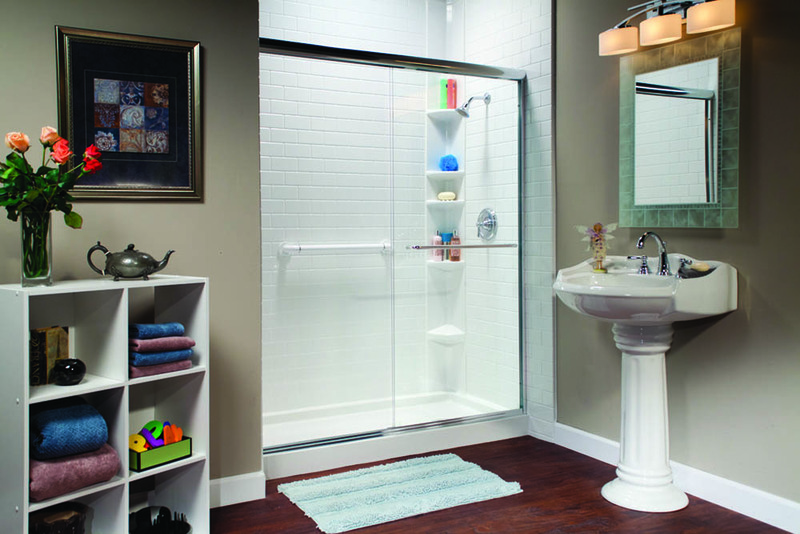 Whether you choose a swing door, or smooth slider, you’ll love the look and feel of our enclosures! 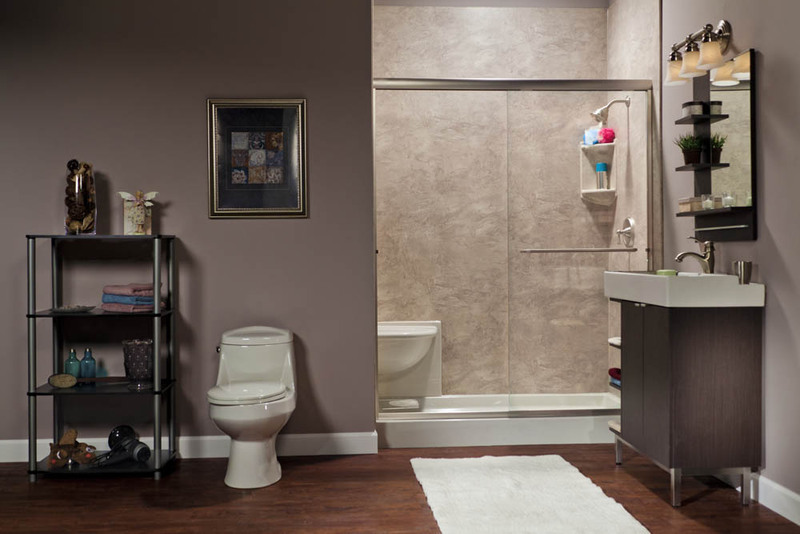 You’ll love our private label platinum doors. We offer Euro-style metal frames in chrome, brushed nickel and oil rubbed bronze. 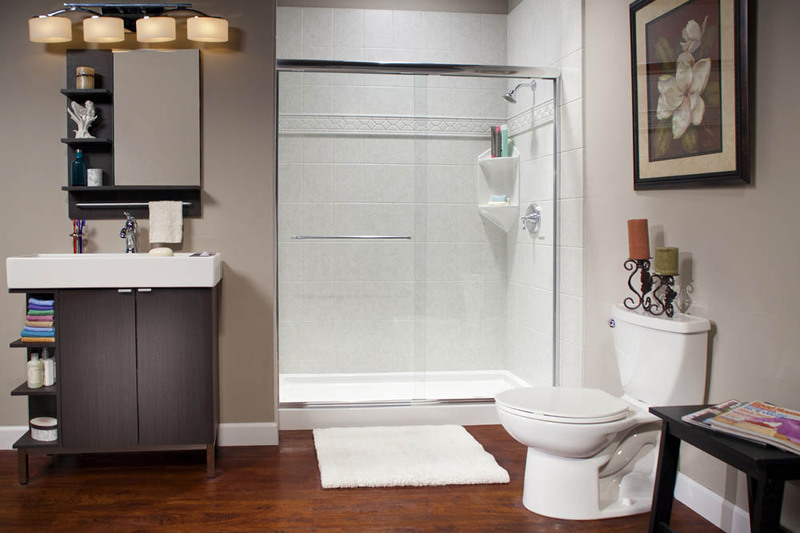 Choose thick, thin glass options, or even in a stylish S-cut glass. 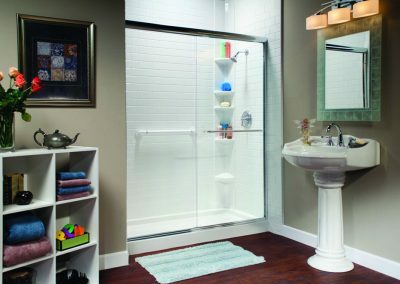 These elegant doors come with clear or rain (opaque) glass. 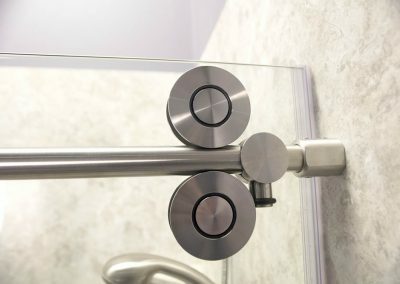 Platinum doors can be ordered as a bypass slider or swing door in a variety of standard sizes. 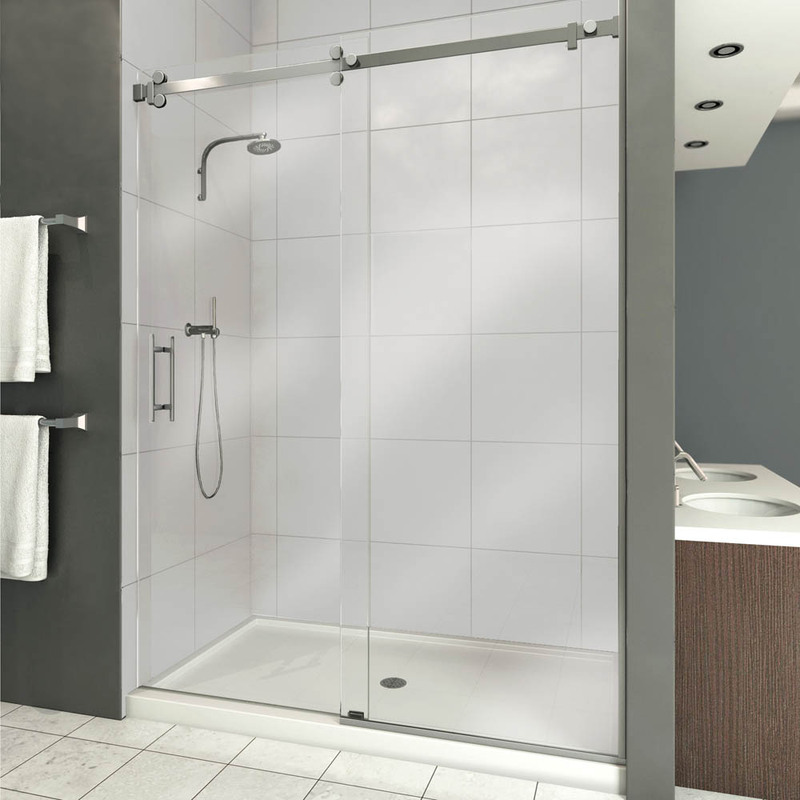 Our premium platinum shower doors come with water repellant glass! 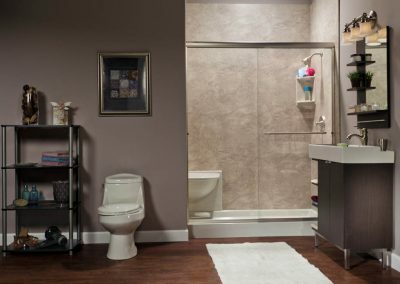 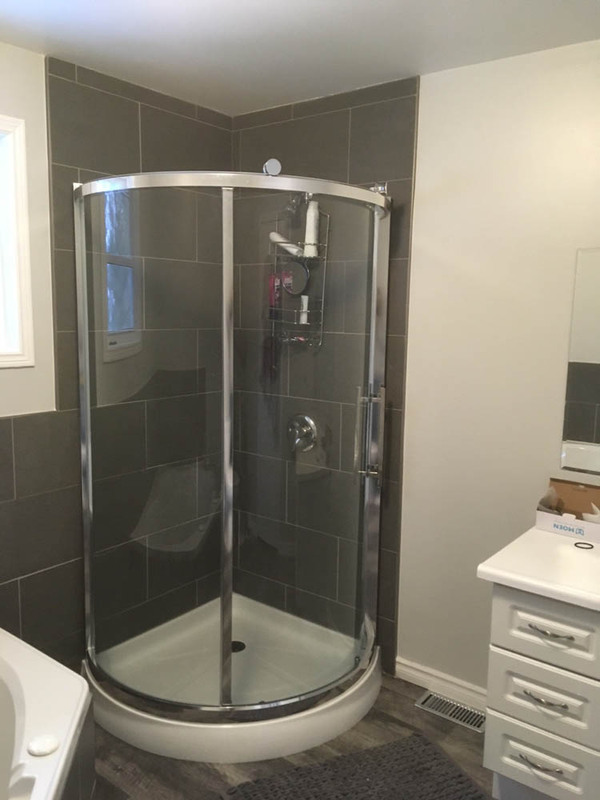 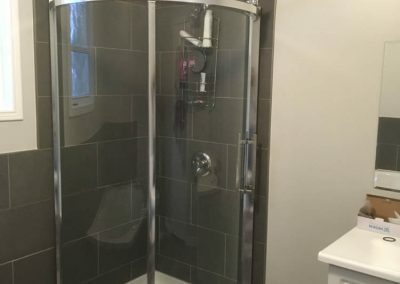 Our goal at Peterborough Bath Renovators is to make your shower remodeling project easy and hassle-free. 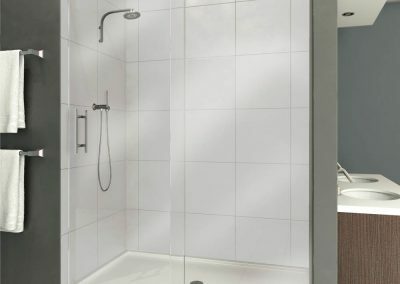 Our high-quality shower systems and accessories can be used to replace an existing shower, leaving you with a beautiful, long lasting bathroom. 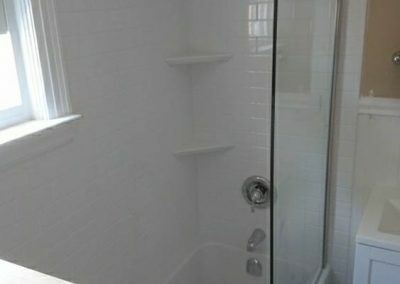 Plus, our showers are easy to clean, and naturally resist mold and mildew. 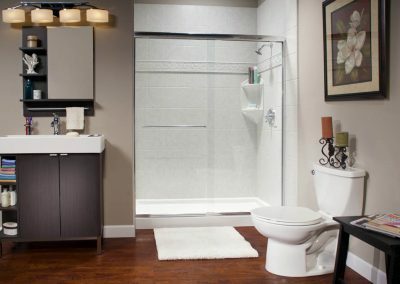 All our products are low maintenance and durable, so you can enjoy their beauty for years to come!